Last year's Say Yes to the Prom in LA. 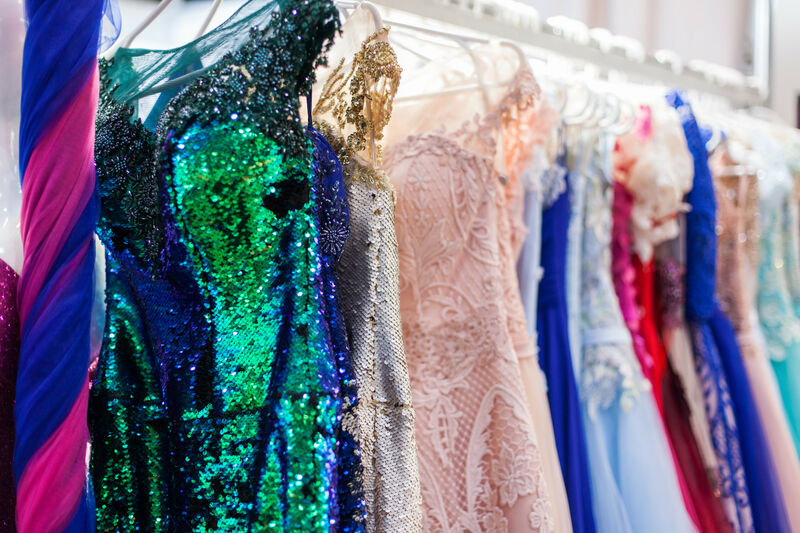 You know the phrase made famous by TLC: “I’m saying yes to the dress!” This spring, those iconic six words will be spoken by deserving teenagers. 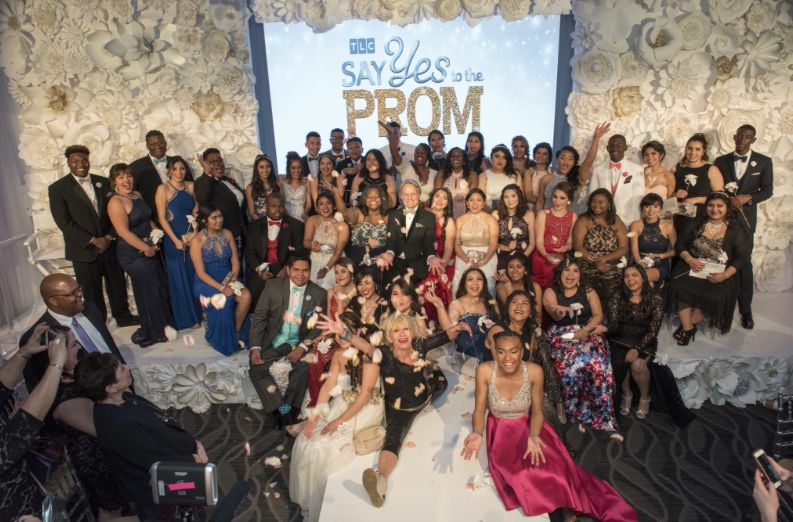 That’s the premise of Say Yes to the Prom, an initiative by the network and its retail partner, Macy’s, now in its seventh year, to grant unforgettable prom experiences—gratis—to 1,000 underserved and academically high-achieving students across the country. 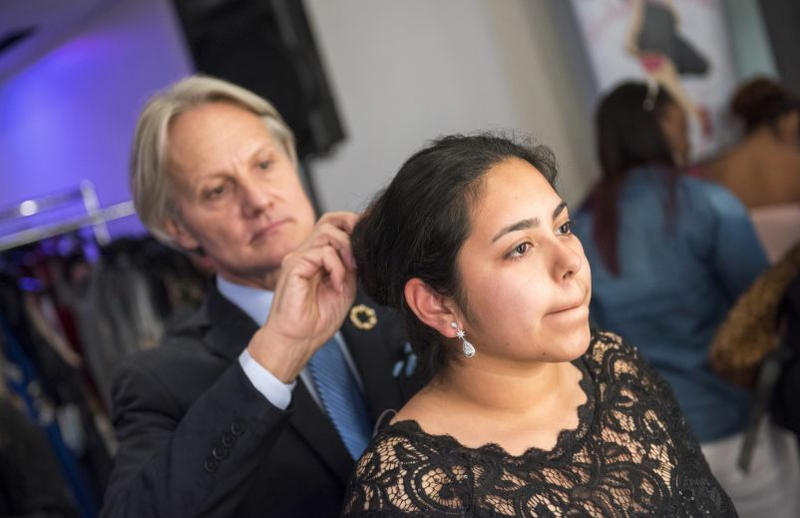 Lucky prom-goers win free dresses, tuxedos, and accessories, plus one-on-one styling sessions with Monte Durham—you know him from TLC’s Say Yes to the Dress: Atlanta. 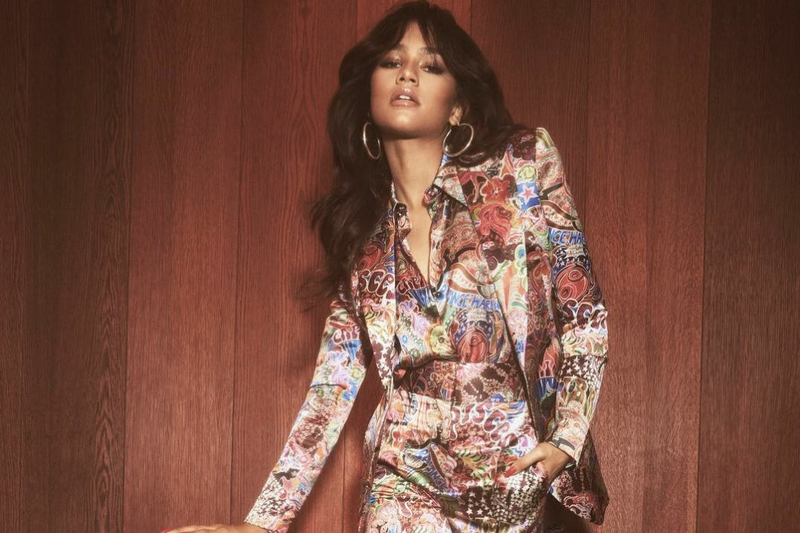 Moreover, students will also get scholarship, internship, and mentorship opportunities thanks to partnerships with the Will and Jada Smith Family Foundation’s Careers in Entertainment initiative and the Emma Bowen Foundation, pairing teens with professional mentors from the fashion and media industries. The initiative comes to Houston on March 22 with a cross-country Say Yes to the Prom tour, in which students in areas impacted by 2017 hurricanes are treated to all-day shopping events for head-to-toe prom ensembles. Shopping days will also make landfall in Florida, Tennessee, and Maryland. The actual show's filming though, takes place in New York City, where Say Yes to the Prom kicks off this month and next. There, students of the Inwood Academy for Leadership Charter School–the winner of TLC’s 2018 inaugural “Win a Dream Prom for Your School” contest–will enjoy a full shopping day with Durham including free prom dresses and accessories by Macy’s and tailored suits, watches, and dress shirts from Sean John. Paul Mitchell Schools will provide complimentary hair and makeup consultations, and the culminating prom experience will air in a 60-minute special premiere on TLC on March 24. Macy’s donated over 2,500 dresses and bags for this year’s tour, and new national retail partners include women’s shoes from Katy Perry Collections, on-site tailoring services by George Worrell Style, and nail polish from Morgan Taylor Professional Nail Lacquer. AT&T employee volunteers return as mentors and style guides. 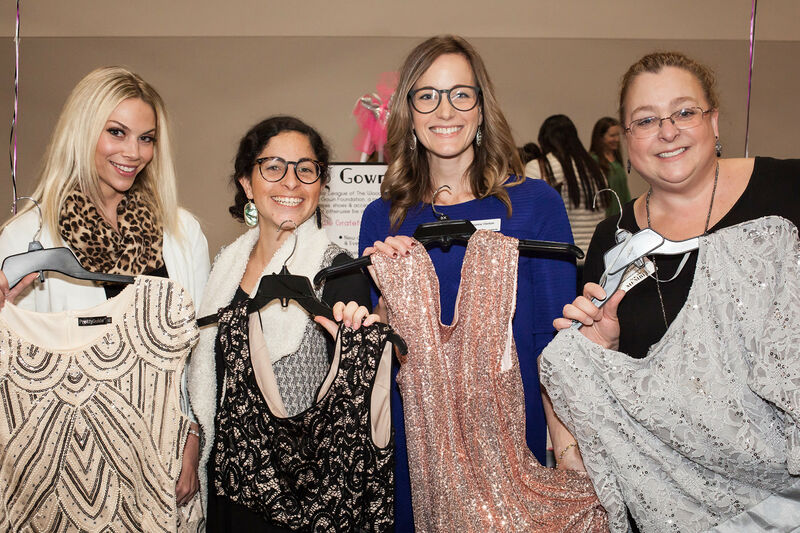 The initiative first began in 2011 as a prom dress donation drive and outreach event for students in Discovery Communications’ global headquarters of Silver Spring, Maryland. “That program has since evolved into a nationwide initiative with an exceptional, impactful mission–to give underserved, deserving students across the country an unforgettable prom experience along with educational and career-building opportunities to broaden their horizons beyond the prom and prepare for their futures,” creator Adria Alpert Romm said in a press release. Here’s hoping Houston teens hit by Harvey have a night to remember—they deserve it.